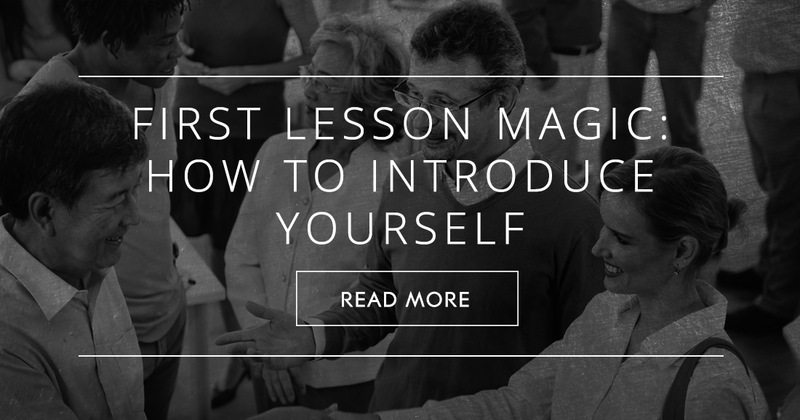 First lessons are the perfect opportunity to tell students a little bit about yourself and get to know something about them as well. This may be your first chance to determine your students’ English level so it is important to encourage them to speak as much as possible. Most teachers find one or two great warm up activities and use them often in their classes. If you have an activity that you like to start classes with, the first lesson may be the perfect time to introduce it to your new students. If you are not attached to any particular warm up activities, you can use the first five to ten minutes of this lesson to generate an interest in the topic, in this case, yourself. One way to do this is to have students guess things about you such as where you are from. You can use a handout of about fifteen questions for this activity and leave enough space for students to write their guesses as well as space to write the correct answer which they will learn later on in the lesson. Especially if you are from another country, students will be very interested in hearing about where you are from and specific cultural aspects of your country. Using pictures or flashcards will help students grasp the meaning of your self introduction without understanding every single word or sentence. The best approach is to use the simplest possible language during this section of the lesson. If students seem to understand the material very well you can prompt them to complete sentences based on the materials you are showing them to give them an opportunity to demonstrate things they have already learned. If you plan to do an activity later based on the introduction, you may have to repeat the material a couple times. Now that your class has learned a bit about you, have them fill in the correct answers on the worksheet you gave them earlier or ask them questions based on your presentation and see if they can answer them. This will give you time to evaluate your students’ level and also see what they understood from your presentation. If your presentation was too easy or difficult, you can adjust it before presenting to other classes. At this point an activity would be important. You can use an ice breaker to get everyone moving and more relaxed. This also shifts the focus of the lesson from you to the students. Starting the activity yourself will give students an example of what they are being asked for. A very simple exercise would be to say your name and favorite color and have students take turns doing this. If your class has been together for years and years and the students are very familiar with each other, you may even ask the student whose turn it is to say all the students’ names that have been said already before saying his own. This will give you more time to learn the names and you can end the activity by attempting to say all the names in order. Now you can ask students to volunteer to give self introductions. This activity can be structured a number of ways. If giving a full self introduction is too challenging, ask students to just say one thing about themselves or to use the worksheet as a guide so that if the first question on the worksheet was “Where are you from?” the first volunteer can answer that question. Encourage all students to participate. Use the last three to five minutes of class to have students ask you any questions they might have. This can be intimidating so you could expand it into a larger activity where students work in groups to think of a question to ask. The benefit of being the first group to ask a question is that no one else has asked the question already. Tell students that questions cannot be repeated so if another group asks the question first, they will have to think of a different one. The first lesson is very important. You have to strike a balance between having fun and maintaining order in the classroom. Students need to respect you in order for you to have control of the classroom environment so use the first lesson to introduce yourself, learn something about your students, have fun, and establish your authority. See BusyTeacher's Back to School worksheets here. How do you teach your first lessons? Please share.